We are excited to be entering our first full calendar year as 317Grow! Each year we choose a new area to dedicate ourselves to making measurable, meaningful improvements. This year we are turning our attention to customer service. During our annual strategic planning process, our owners Brian and Amanda take stock of the past year. They assess our strengths and weaknesses, potential risks and areas for growth. This time around we have had to face the uncomfortable truth that our customer service has been nowhere near as good as it can and should be. In particular, we have fallen short when it comes to communication, both with you as our clients and within our company. This has resulted in unclear expectations, missed deadlines, mistakes on-site and in the office, clumsy hand-offs from one type of service to another, and has overall created a feeling of uncertainty and lack of trust for some of you. As a company in the service industry, delivering sub-par customer service is simply not an option. Our true value comes just as much from the experience we provide customer as from the end product itself, and poor customer service undercuts our ability to put our staff's talents to work designing, building, and maintaining one-of-a-kind landscapes. 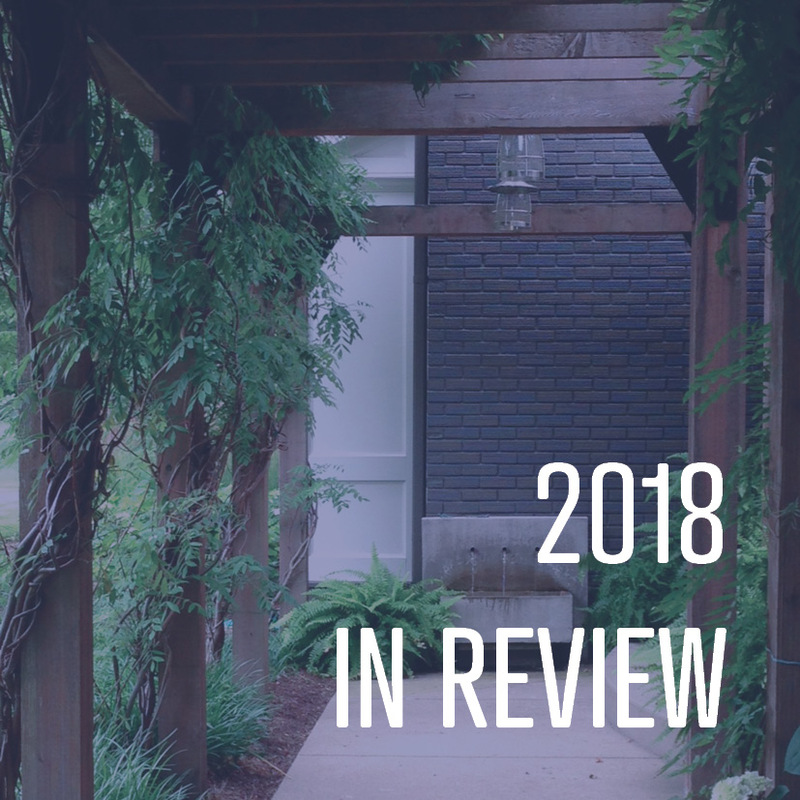 It would be easy for us to pick a few things to work on this year as part of the larger goal of company improvement, but we have decided that excelling in this area is so important that it will be our focus all year long. We have a whole host of changes coming next year that will have a huge impact on our ability to provide clients with unparalleled service. We will be changing the way we communicate about large projects, refining our scheduling process, empowering our crews to report issues more effectively, and overall streamlining our systems to help prevent information from falling through the cracks. The two biggest changes will come from our new software and our new communication platform. We have made do with outdated software for years, and this year we're making a change. We are in the process of learning an entirely new online business management system called BOSS. This new software will allow us to create more detailed and accurate estimates, more realistic schedules, and it's all based online so all of our team members will have instant access to the information they need anywhere. Crew leaders will have notes specific to your property to go with each project. Anyone on-site will have the ability to pull out their phone, make a record of an issue, and immediately have an alert sent to the team member with the ability to fix it. With built-in cost estimating systems, automated problem alerts, advanced scheduling capabilities, and a preset order of operations from the first phone call to the last walk-through, BOSS will take our business processes to the next level, and you, our clients, will benefit from it. Slack works across desktop and mobile devices seamlessly. Our other big new thing for 2018 is Slack. Slack is a messaging platform and app that will streamline communications. It allows us to create a chat channel for each project where we invite all team members involved on your site so information can be shared quickly and effectively without the hassle of long email chains with multiple responses and forwards. Clients who wish to be involved through Slack will be invited to the channel for their project, and it will become the primary means of tracking details, timelines, project updates, etc. The platform has all kinds of helpful capabilities such as direct messages, threaded group conversations within a channel, and even document sharing. We have been using it in the office for a few weeks now, and it has already completely changed how we communicate. It works across all operating systems for seamless communication wherever you are. Learn more about Slack on their website or through this overview from Small Business Trends. Slack is easy to learn, and it does wonders to keep everyone up-to-date. Still not convinced it's for you? We will still have a Slack channel to coordinate your project on our end, but if you want to stick to more traditional communication that's okay with us. However, for the sake of easier conversation tracking and sharing with the team we will be asking that all clients move most communication to email this year. This will also apply to maintenance contracts where a Slack channel would be unnecessary to deal with the occasional questions that crop up. This will allow us to serve you better by letting us more easily archive conversations, include others in the discussion, and generally do a better job tracking the details of your project. We will remind you of this as we go until eventually it becomes habit for everyone. In addition to our two major customer service-related changes, we have some other exciting new things coming up this year that will allow us to continue to refine our image and let you get to know us, and also to develop our team professionally. We will be tweaking our online messaging and marketing to more accurately reflect the sophisticated creativity people have come to expect from us. With consistent imaging and messaging, we hope you'll be able to tell at a glance that it's us you're seeing as you scroll through Facebook, Instagram, or wherever you connect with us. We will also be using our social media platforms to communicate with you more about our philosophy, personality, and people. You'll get to meet the faces that work behind the scenes and on the job site and a little bit about who we are outside of work. We'll be doing some neat things with our Instagram layout in particular, so definitely check us out there! We will be overhauling our HR department to better serve our people, which will in turn allow them to better serve you. It's our goal to make 317Grow one of the best places to work in Indianapolis. That starts with re-imagining how we approach employee satisfaction and engagement to ensure that every employee knows their role and value and understands how they can learn and grow within the company. We will continue to develop our training programs to make our staff more knowledgeable and experienced. For the office staff, this will look like a trip to Chicago next week to spend some time with our mentor company there. We have developed a partnership with one of the leading residential landscape firms in the Windy City, and every year we look forward to spending time learning from them and their decades of experience in the industry. Our field staff will be participating in their second annual company-wide training day in March. We set aside an entire day to spend refining our skills, cross-training, and reviewing safety standards. For new employees, this provides an opportunity to get to know all of their coworkers and learn our norms. For veteran employees they get to learn new skills and develop their leadership abilities as they take charge of training stations. We can't be more excited to take on 2018 and all the challenges and opportunities it will bring us. We look forward to sharing it with you as we continually strive to be the best company, employer, and community partner we can be.